I’ve taught extreme rock, blues, metal, guitar to many people for many years, some rich and famous others friends and peers. Been in bands that have come and gone, made records that have done the same, but the one thing that has always stayed with me throughout my music career is my love for what I do. To create music, inspire and teach. 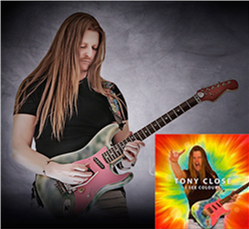 I’ve enjoyed establishing my own rock band “Close Encounter” in 1995 and gained live experience performing with ex Motorhead guitarist Wurzel and for a while the illusion of commercial success (that I have a great respect for). Studio work with ex Michael Schenker vocalist Roland Jones, and shared some studio rehearsal time with Wolfsbane’s drummer. Always returning to the thing I love the most teaching and inspiring people to crank it up and get up the dusty end of their guitars. So keep rocking guys!!! Guitar lessons are available in the Gloucestershire Area.